As the saying goes, smiling is your chance to “flash those pearly whites.” For those who suffer from dingy and discolored teeth, however, the color may be closer to yellow, brown or gray. If you dislike the hue of your teeth, you’re among the third of Americans unhappy with their smile. It doesn’t have to be that way. 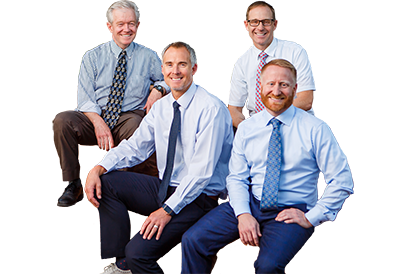 Our doctors at Riverside Dental Care are ready to help. Let’s take a moment to discuss the psychology of the smile. We all tend to fret about our appearance. Often, our fixation on a flawed feature is irrational. Self-consciousness about discolored teeth, however, has a basis in reality. In a study overseen by the American Academy of Cosmetic Dentists, 48 percent of respondents said the state of someone’s smile is the first thing they notice when meeting a person. What makes for a mesmerizing mouth? Research has shown people are attracted to white and even teeth, a propensity scientists attribute to a primal response. Good teeth indicate that you’re healthy and have “good genes,” coveted characteristics in a mate. The AACD study yields further information about the supremacy of the smile. Thirty-seven percent of respondents said they viewed someone with stained or crooked teeth as less attractive, while 25 percent perceived people with troubled teeth as less confident. If you do have discolored teeth, you may well experience issues with self-assurance. People who dislike their teeth tend to avoid smiling and may be reluctant to initiate conversations. People who rarely smile run the risk of being seen as unfriendly, which can adversely impact your friendships, love life and even career. It’s a negative cycle, but it’s one that is easily addressed. We’ve helped countless patients benefit from teeth-whitening, going from “50 shades of gray” to ivory. We recently had a woman thank us, saying she’d finally returned to wearing red lipstick. She’d avoided it for years because she felt it emphasized her yellowing teeth. Finally being able to flash a white smile was obviously a red-letter day for this grateful patient. If you’re ready for a dental treatment you can smile about, contact Riverside Dental Care to schedule your appointment. Let us be your St. George Dentist! As the premier St. George dental office, we work hard to make sure you enjoy your trip to the dentist by providing the most advanced dental care. To schedule an appointment, please call our office at 435-673-3363 or click on the link above and fill out the Appointment Request Form. You may also fill out the form below to schedule an appointment. Or click on the "Request Appointment" button below to fill out our online form.